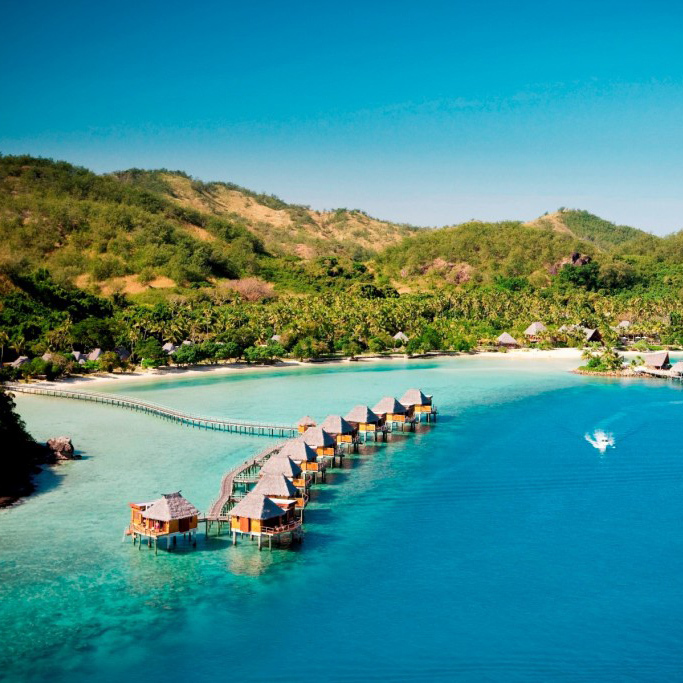 Ride the skyways of Fiji with a magical seaplane flight to Oarsman’s Bay Lodge with Turtle Airways. 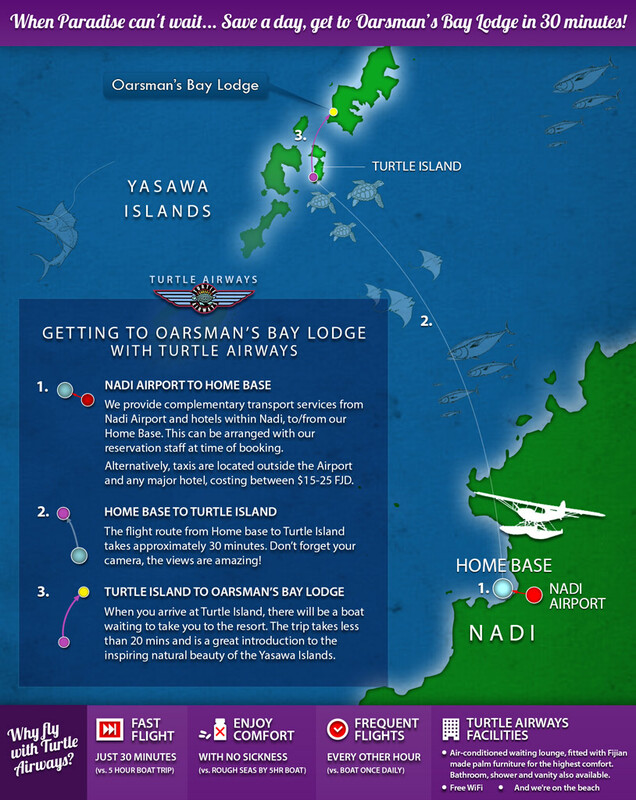 Turtle Airways shares a special bond with Oarsman’s Bay; Turtle Airways founder Richard Evanson helped fund the construction of the resort, with a particular focus on supporting the livelihood and and preserving the culture of the local community, a people proudly upholding the tradition of generous hospitality and the widest smiles in the islands! 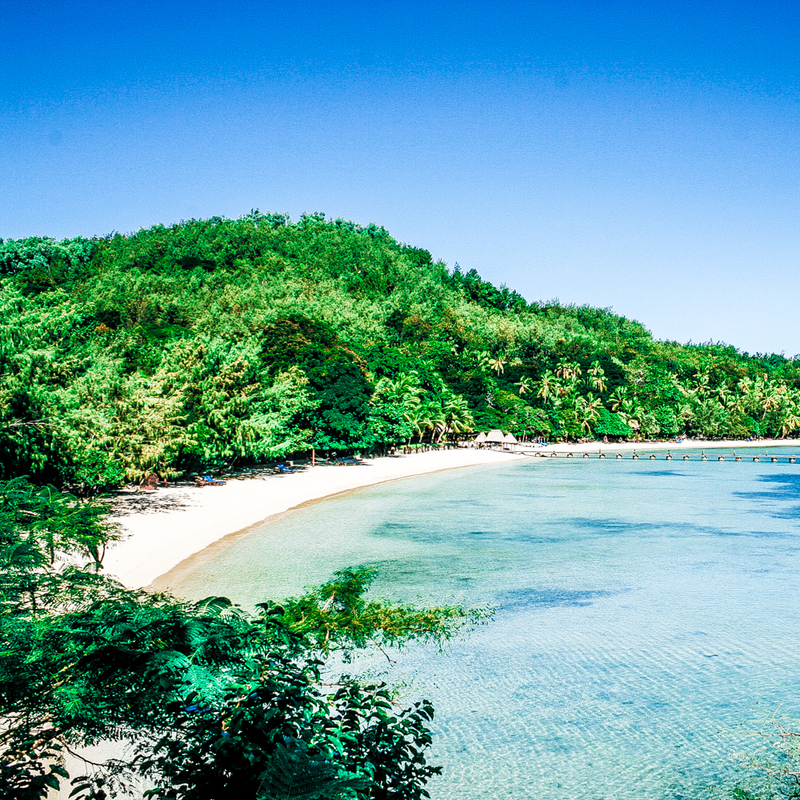 As a result, Oarmans Bay Lodge has grown into one of Fiji’s leading budget destinations, enjoying a wonderful symbiotic relationship with the nearby historic village of Nacula. Oarsman’s Bay Resort is blessed with its very own private island, and encourages guests to live like shipwrecked castaways of old or enjoy trips of pampered luxury – the choice is entirely the guests! Explore the nearby Sawa-i-lau cave system and brush up on indigenous mythology or have a relaxing snorkel in the protected marine park and witness the regeneration of a world of sea life (try the Qese reef for turtle spotting).